Volunteer in Ecuador, at a community day care/nursery school center on Santa Cruz Island. There are about 35 children daily from 2 years to 5 years old. The program provides an integral aid in the education of the children on this island. Many of the children at this center come from families of immigrants who have gone to Galapagos looking for a better future for their families and kids. The project hours are 8:00am - 12:00am Monday to Friday. Volunteer tasks including changing diapers, upkeep duties at the facility, recreational and educational needs for the older children. This is a fast paced, active program with a lot of daily activity. 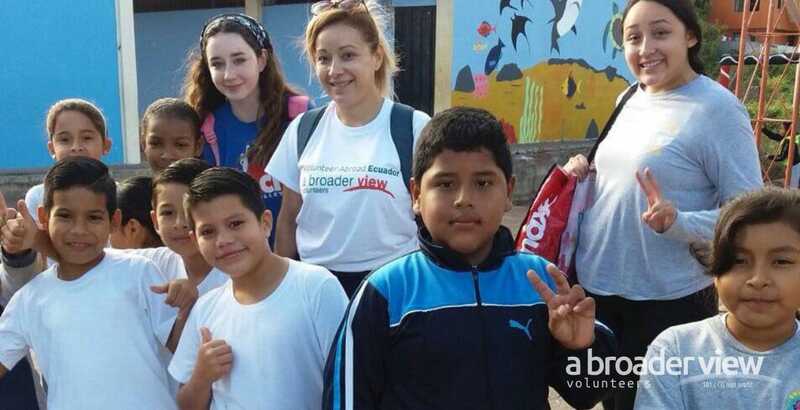 This is a great opportunity to volunteer in the Galapagos while still having time each day to explore the local community and share time with your host family.